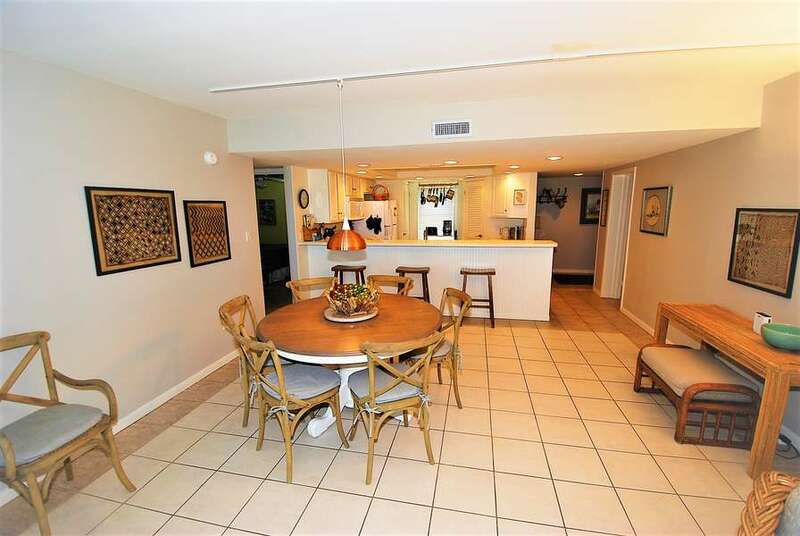 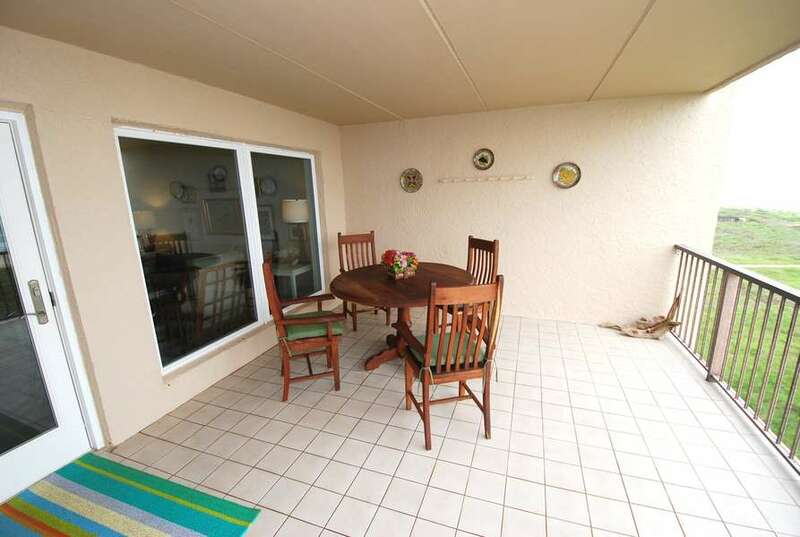 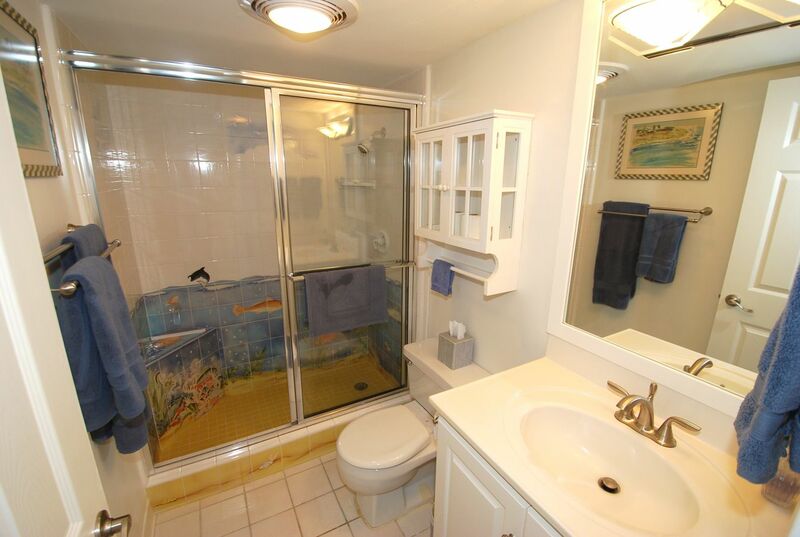 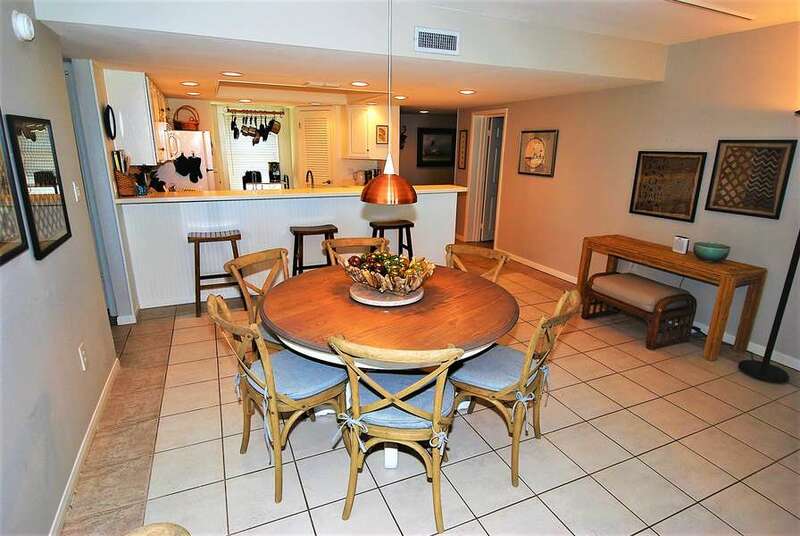 Updated condo overlooking the beach and Gulf of Mexico. 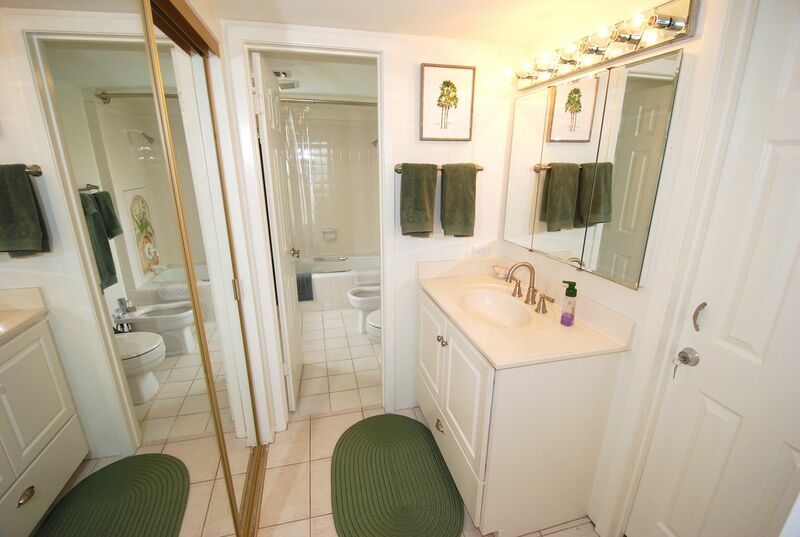 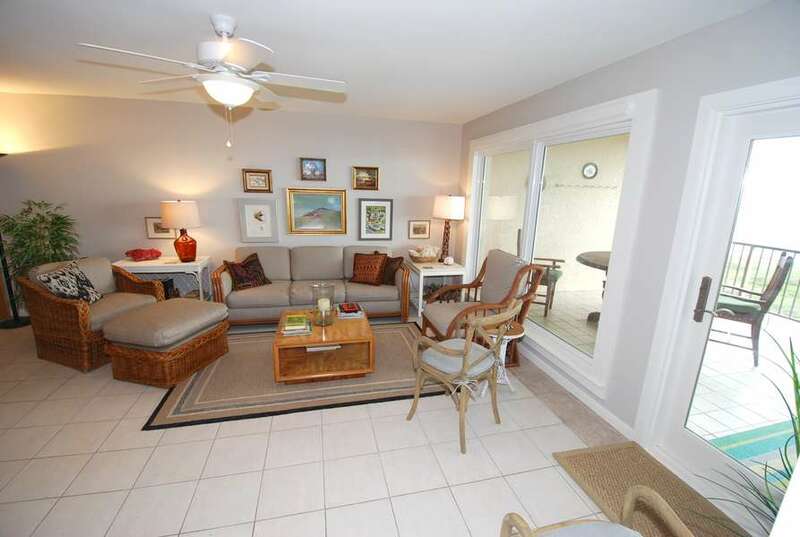 Beautiful, light-filled, three bedroom, two bath unit with windows to the east, south, and west. 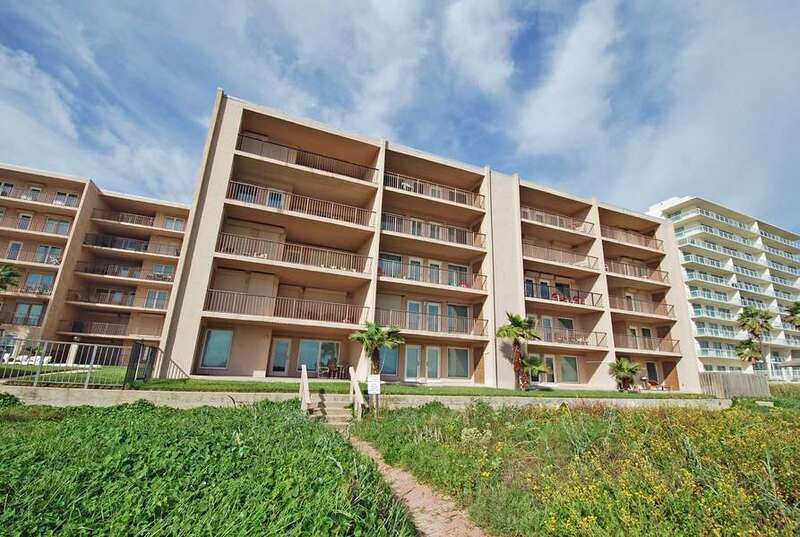 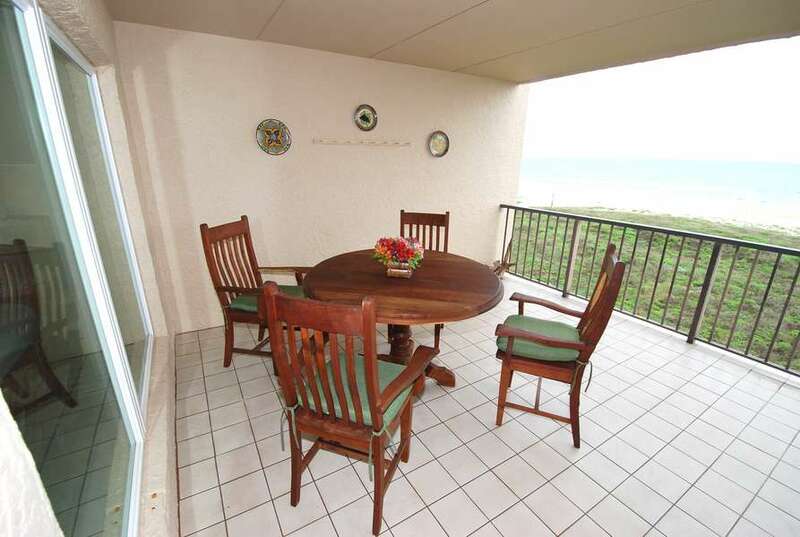 South side corner unit located on the fourth floor providing exceptional wide views of the beach in both directions. 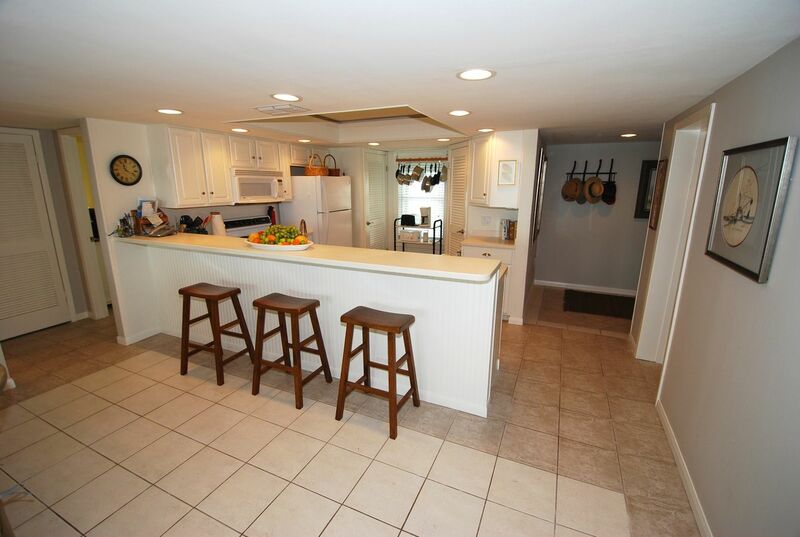 Extra-wide living room and kitchen with enough space for your family to spread out and relax in style. 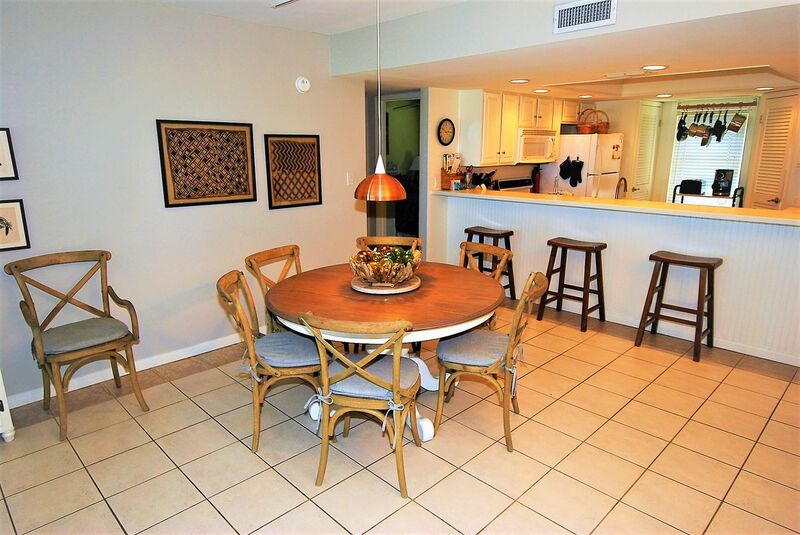 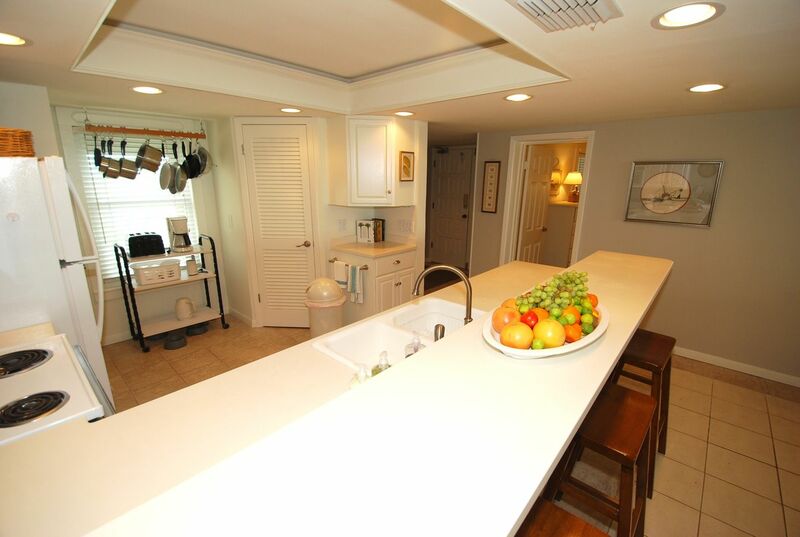 Tastefully decorated with comfortable furnishings, original art, and a well-equipped kitchen with full size pantry. 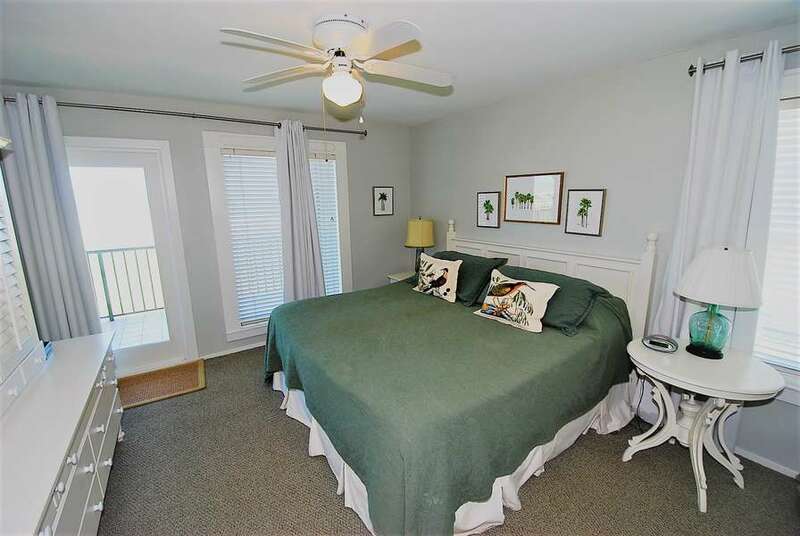 King size bed in the master bedroom, queen size in the second bedroom, and two twins in the third bedroom with comfortable mattresses and 300 count linens. 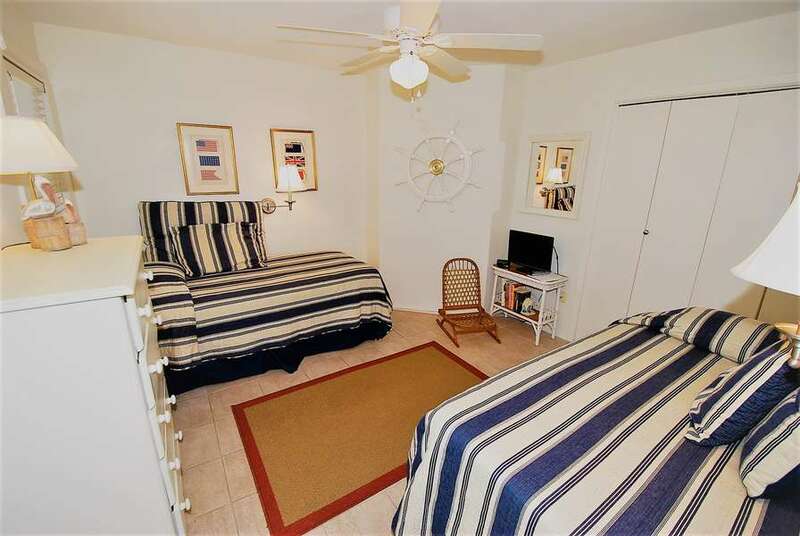 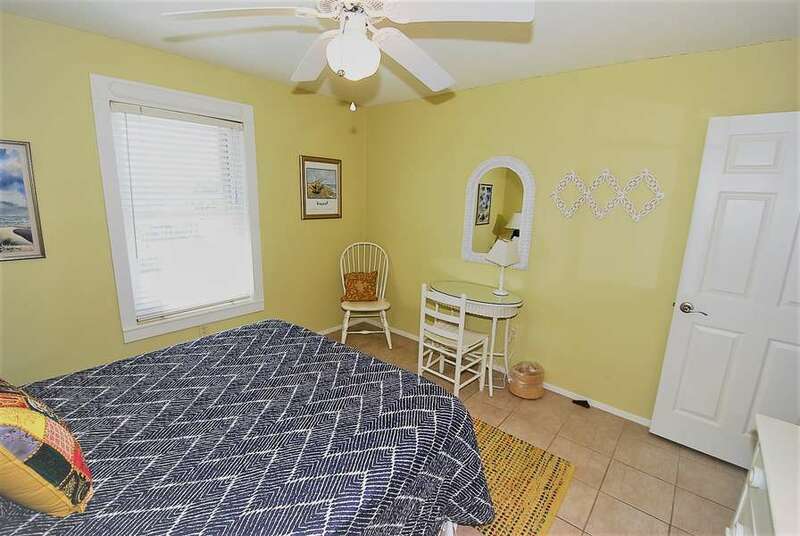 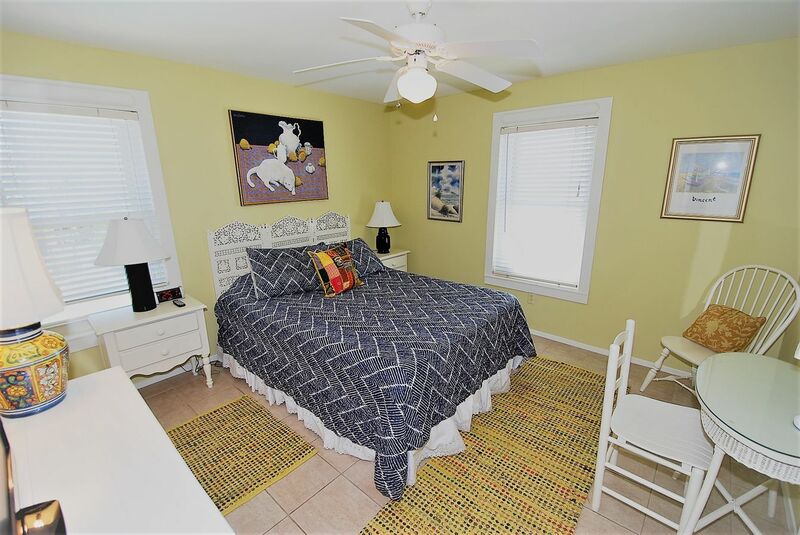 All rooms have ceiling fans adding additional comfort. 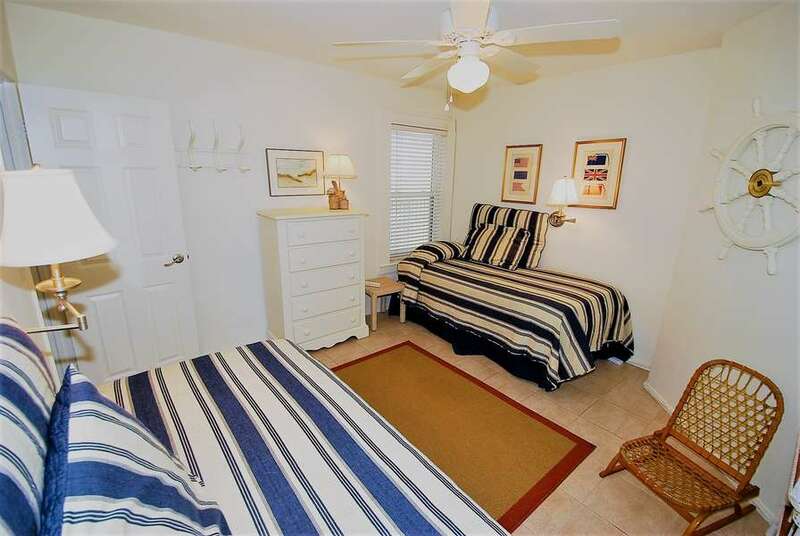 TVs and DVD players in the living room and all bedrooms. Balcony deep enough to offer comfortable outdoor dining at a beautiful mesquite table with room left over to relax in folding chairs. 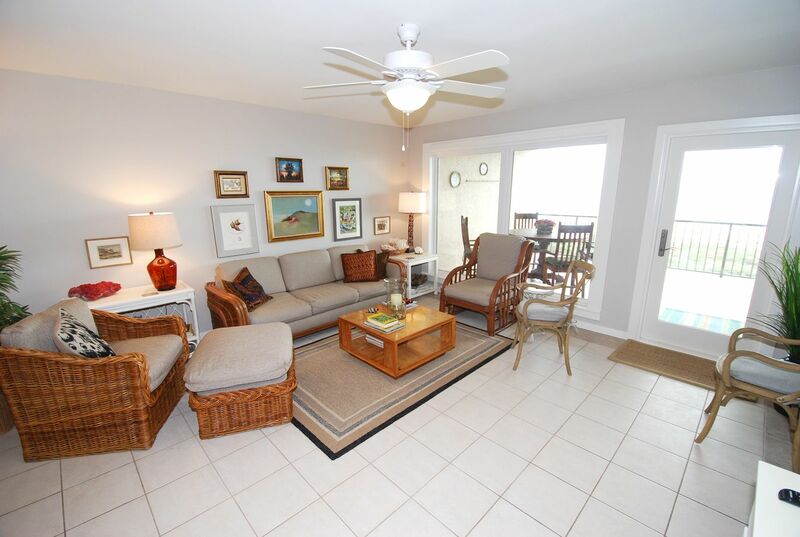 Beach toys and chairs available for your use are kept in the storage closet on the balcony. 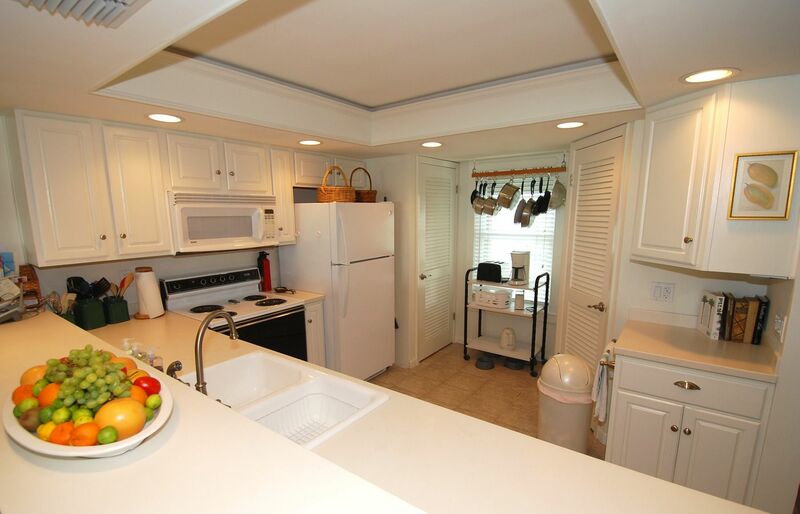 WIFI, cable, and washer/dryer in the unit. 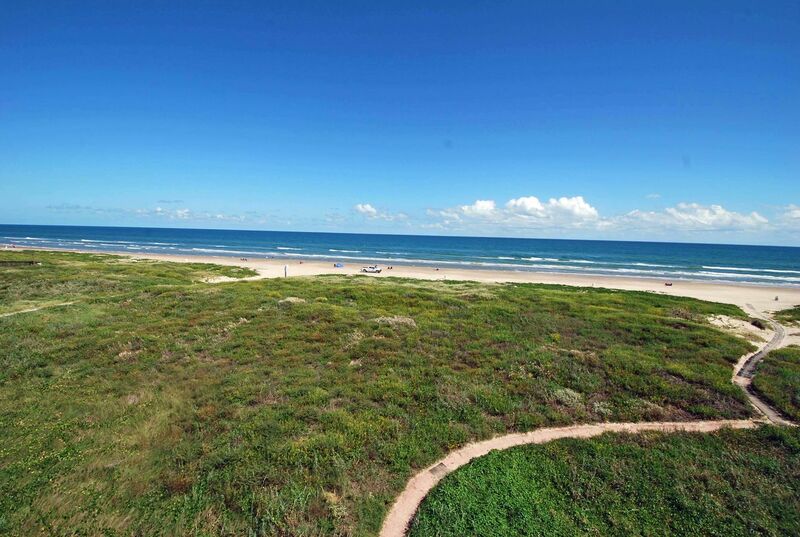 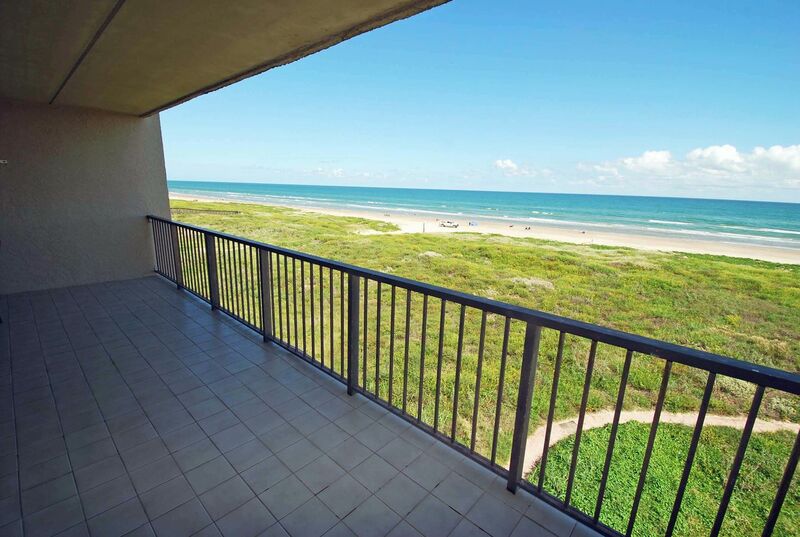 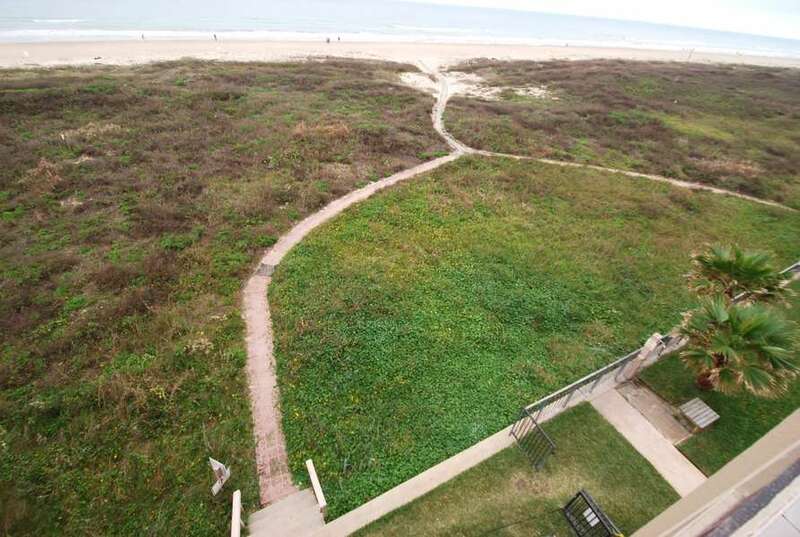 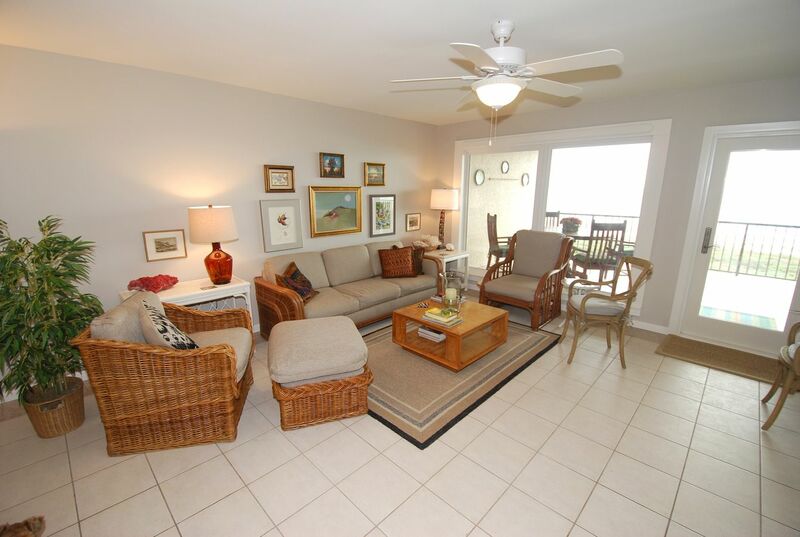 The perfect unit/location for a stress-free, family beach vacation! 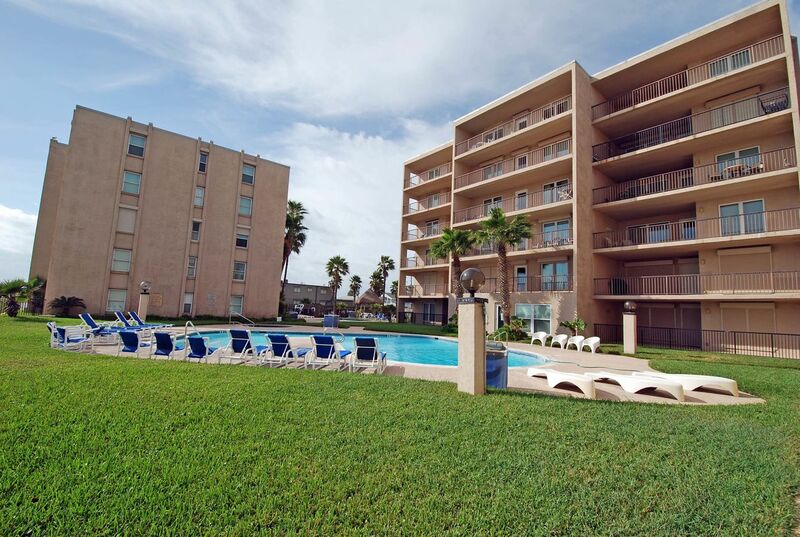 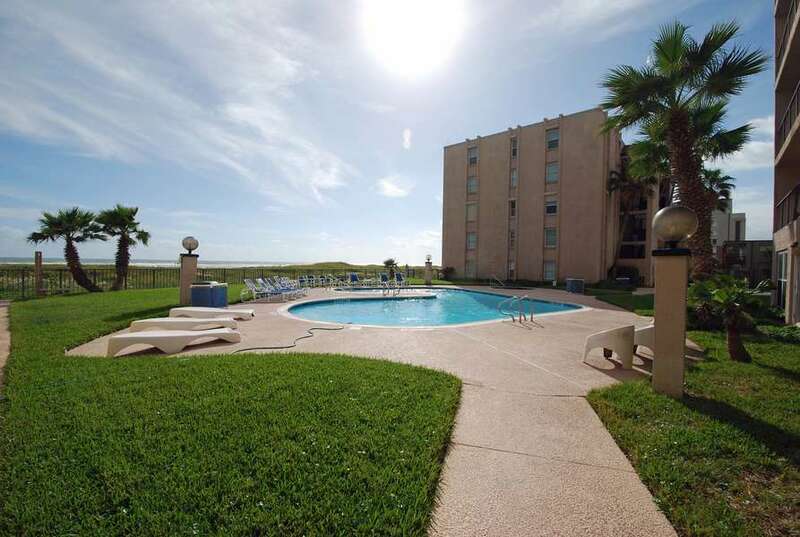 Beach House II amenities: abundant secure parking, gated entry, elevator, two swimming pools, hot tub, communal laundry facilities, and convenient beach access.